The gardens of this rural farming county range from aristocratic pleasure gardens and deer parks to country manors and rectory cottage gardens. Many with ancient origins such as the castle grounds at Rockingham. A 16th-c brick and stone house built on the site of an old Priory. The original formal garden layout still survives, with minimalist landscaping. 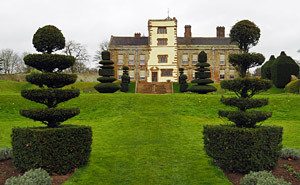 To the west is a walled garden dotted with clipped yew and an impressive Cedar of Lebanon. To the south the main area terraces down towards a pair of decorative gates, with a mixture of formal borders and vegetable plots, edged by a small orchard of ancient fruit trees. This 17th-c manor house looks down over a peaceful terraced plot, on a picturesque hillside location, graced by flowing streams, ponds and fountains. The gardens provide variety and interest throughout the year. 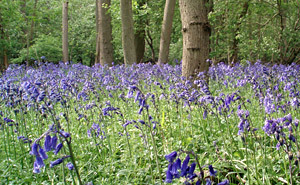 The bluebell woods are a picture in spring and the wildflower meadow is a riot in mid-summer with a diverse range of native species. The core of this 17 acre garden is series of a large lakes, edged with lawns, mature trees and well planted borders. Near to the house is a David Hicks box edged parterre, planted with scented herbs and summer bedding. To the west, a long grass terrace ends in an octagonal folly and walled gardens. 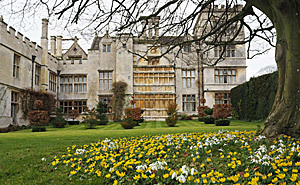 Beyond the formal garden area is an arboretum that is totally carpeted with snowdrops in February. Grade I listed property with impressive gardens and parkland, spanning some 400 years of gardening history. 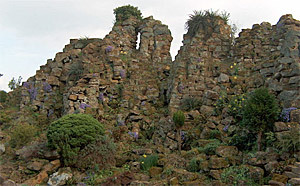 The site includes a spring garden, a large walled garden, and a rockery that was home to England's very first gnomes. The castle and grounds stand on the summit of a hill overlooking the River Welland. The extensive gardens include an formal Italian Garden and a very old lumpy bumpy, topiary hedge. 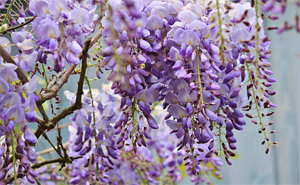 A traditional cross garden is filled with roses and lavender in summer, and dripping fronds of Wisteria adorn the courtyard walls in May. Due to the wide variations in opening times, and seasonal changes, we are only able to state the core months in which these gardens are open. For details of the actual days and times of opening, please visit the garden's website using the link provided or call them using the telephone number listed.